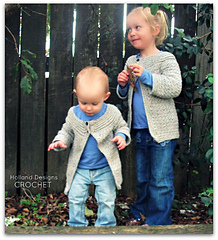 My Classic Baby Cardigan is now available in larger girls sizes! 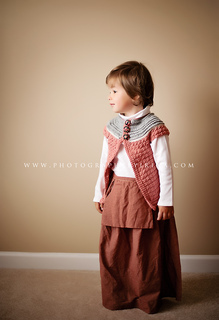 Pattern includes sizes 1-2 years up to size 8 years. Crocheted using DK or light worsted weight yarn and crochet hook size H (5.0 mm). 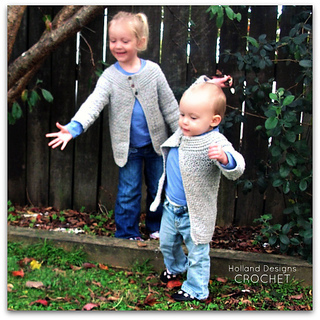 Design features a ribbed yoke and ribbed edging at the cardigan bottom and cuffs. 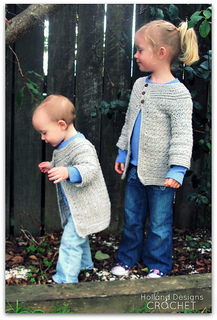 This pattern is basically seamless - only a whip stitch seam is required at the underside of each sleeve.